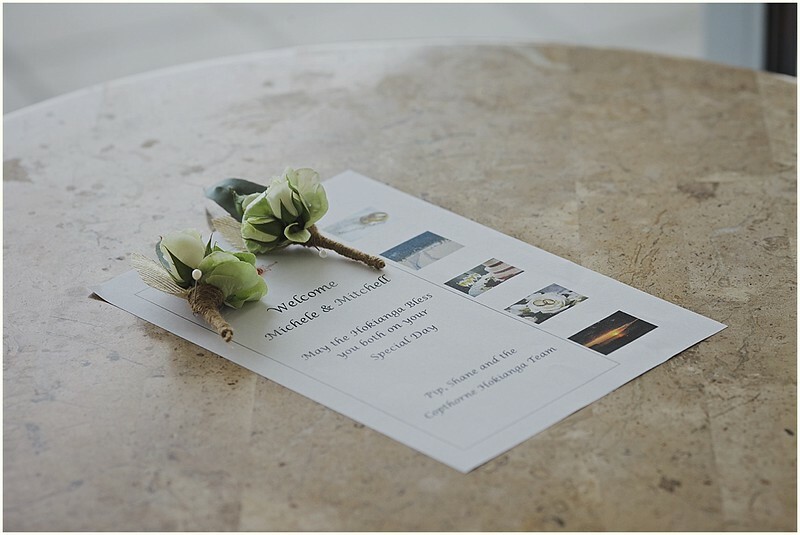 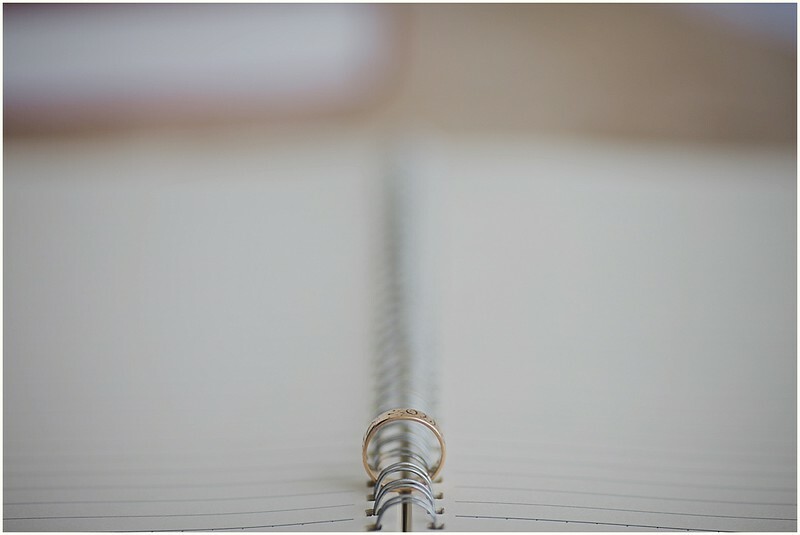 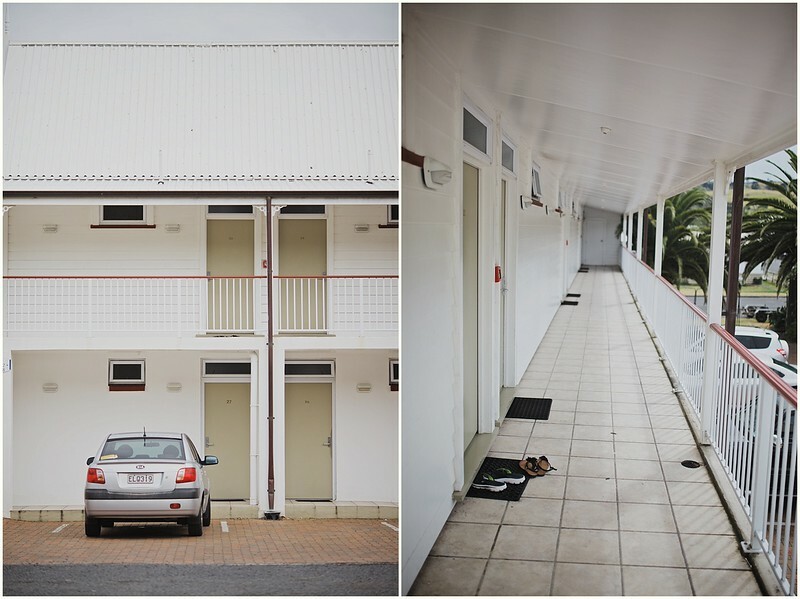 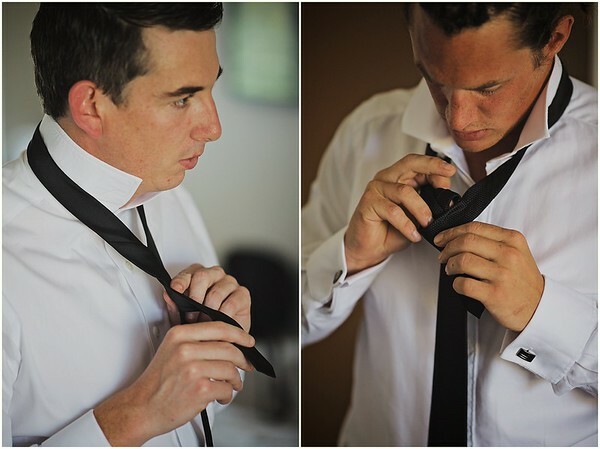 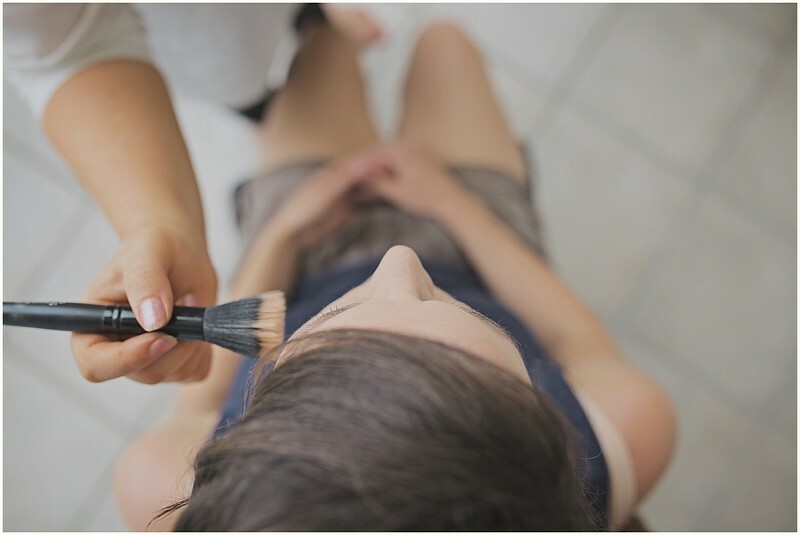 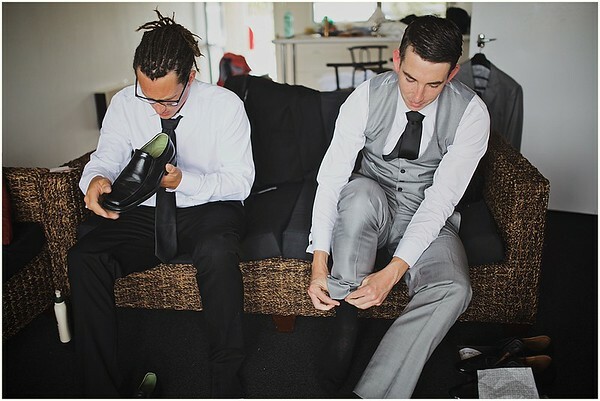 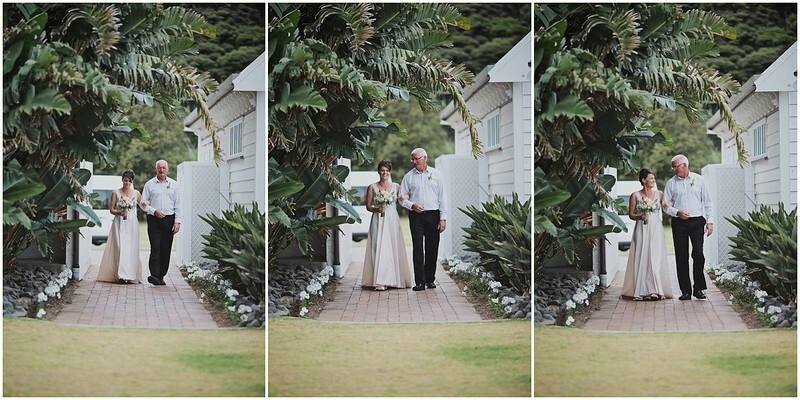 After a winding drive through the Waipoua Kauri Forest, I arrived to very hot and humid weather in Omapere; where Mitchell and Michele were preparing for their day ahead at the Copthorn Hotel. 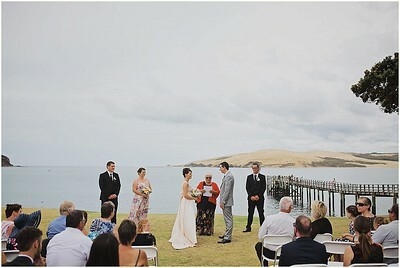 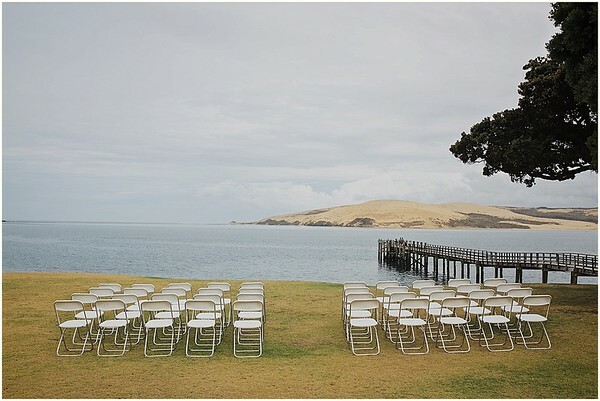 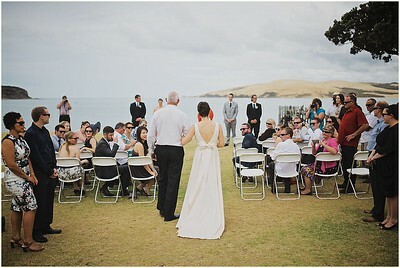 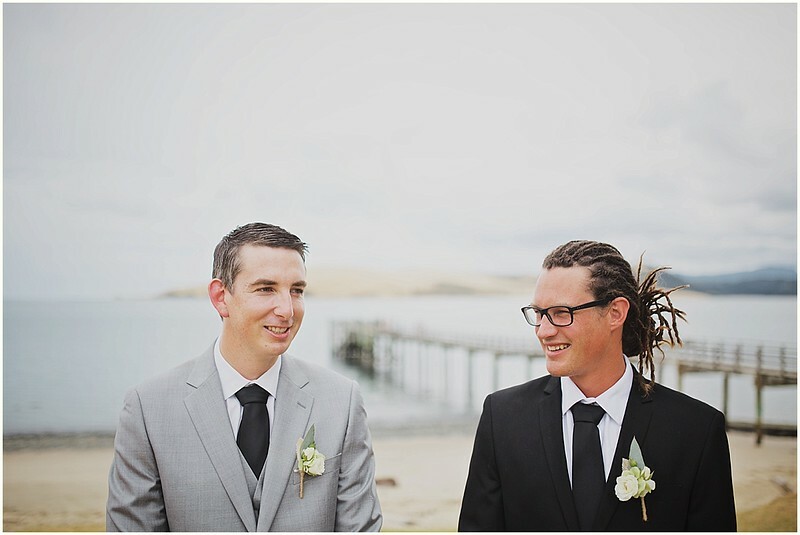 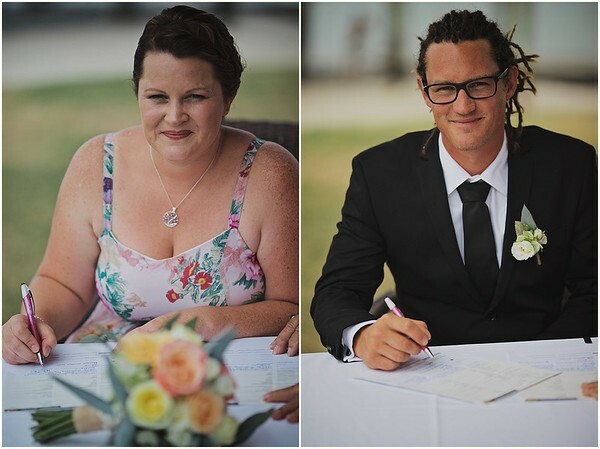 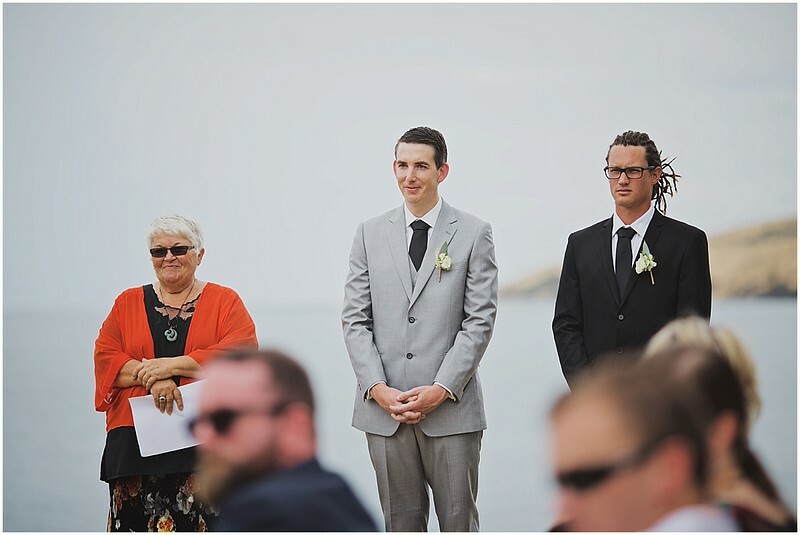 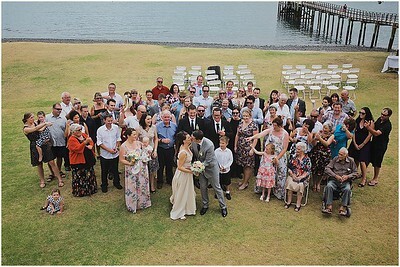 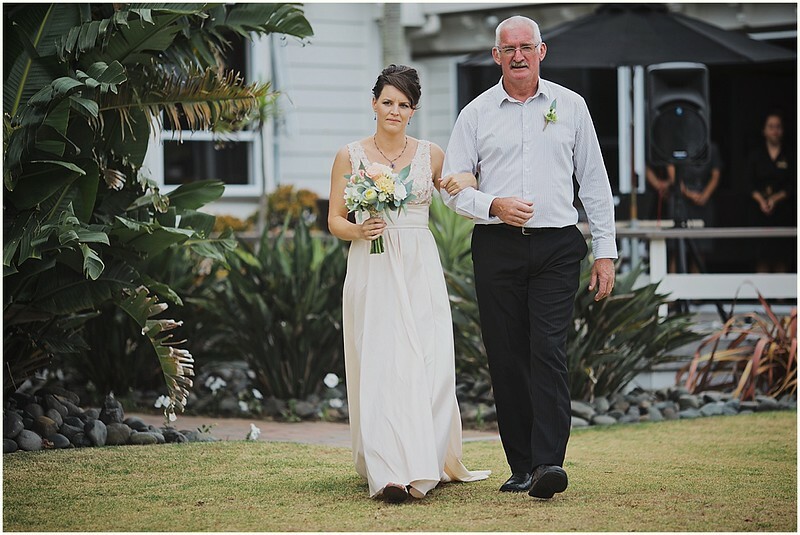 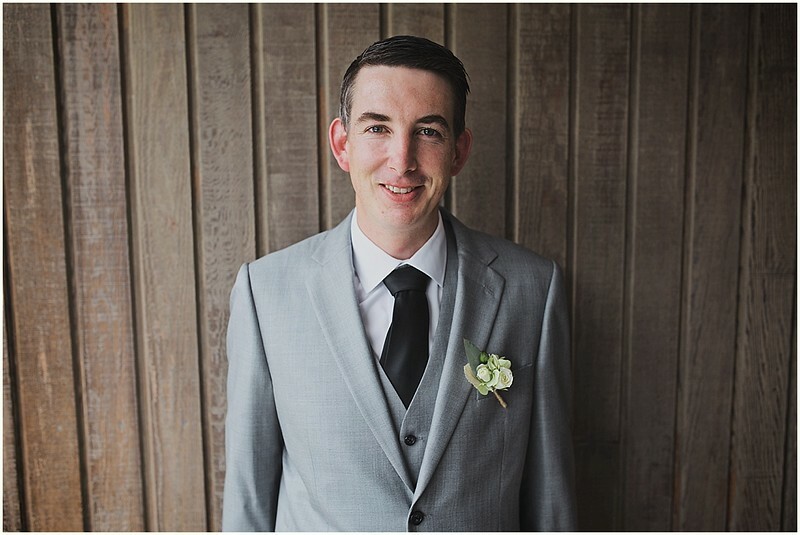 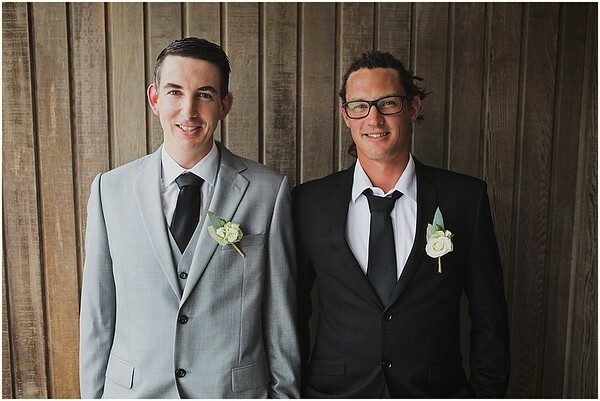 The ceremony was set right on the grassy banks of the Hokianga Harbour with views out to the sand dunes, while the reception was held in the nearby function room. 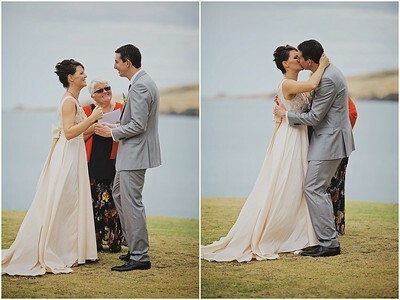 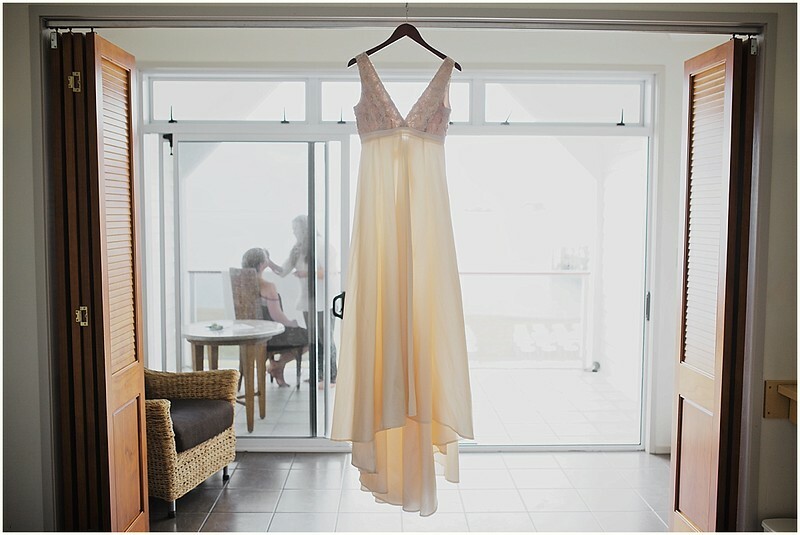 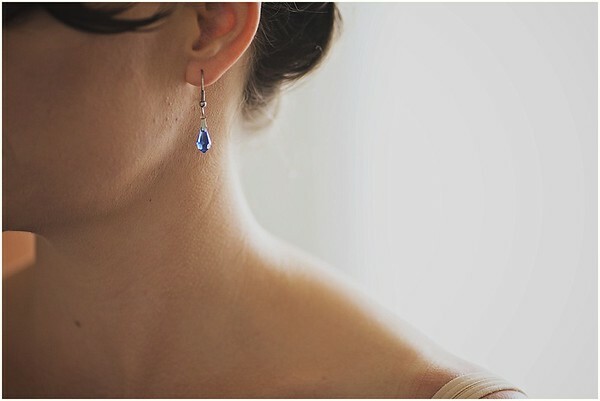 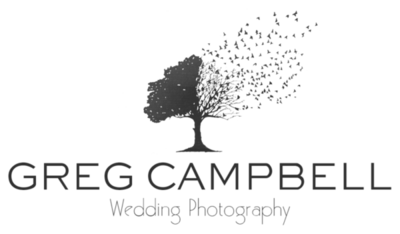 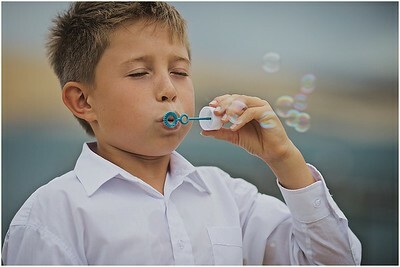 But this would turn out to be no ordinary wedding shoot. 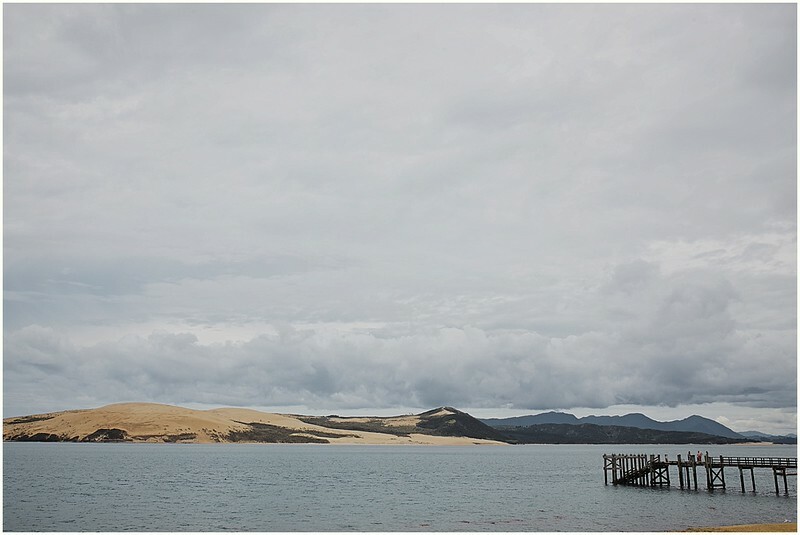 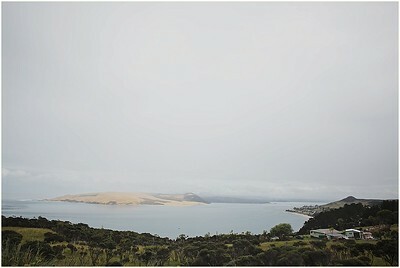 Almost out of the blue, Michele suggests we take a water taxi over to the Hokianga sand dunes for some extra photos. 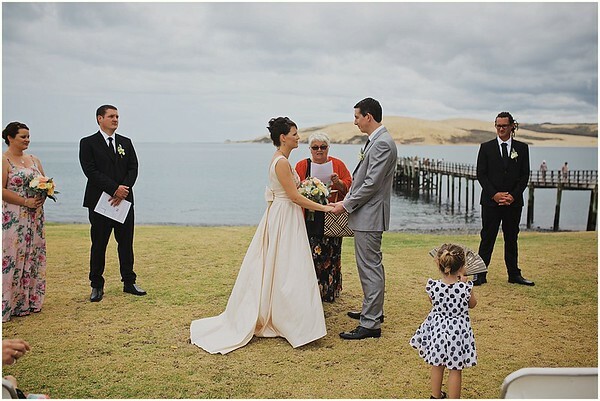 So there we are, Mitchell in his suit, Michelle In her beautiful Annah Stretton dress and me having a ball in bare feet; we explore the sand dunes in the rain - having the best time.